Commanding a dramatic position overlooking Loch Tay in highland Perthshire, Craggantoul House is a luxury large holiday house located within a private 40 acre highland estate with secluded forest walks, loch frontage and fishing rights. Sleeping 12 people in six double bedrooms, the property has very spacious living, dining and kitchen areas to accommodate large groups. Craggantoul House is luxuriously furnished and offers all the mod cons for the perfect break: with a romantic spiral staircase leading to the master bedroom, a roaring wood burning stove to keep guests snug and sensational views over the loch from a private terrace. A glass fronted living room offers unbelievable views over the surrounding meadows and the loch. The house is two hours from Glasgow and Edinburgh. 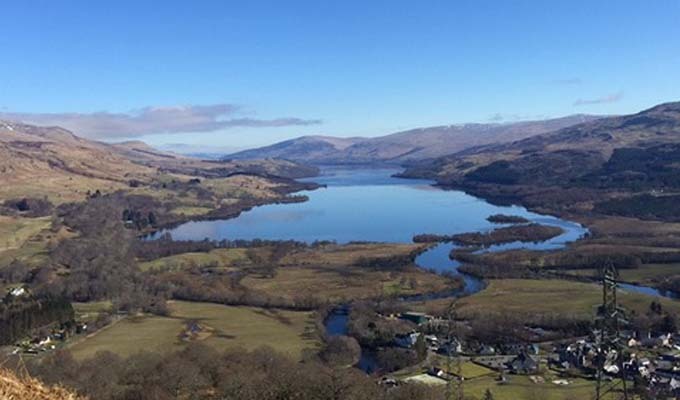 Perthshire and Loch Tay are areas rich in history, wildlife, activities and attractions, with watersports, walking, fishing, golf courses, castles and distilleries on the doorstep! 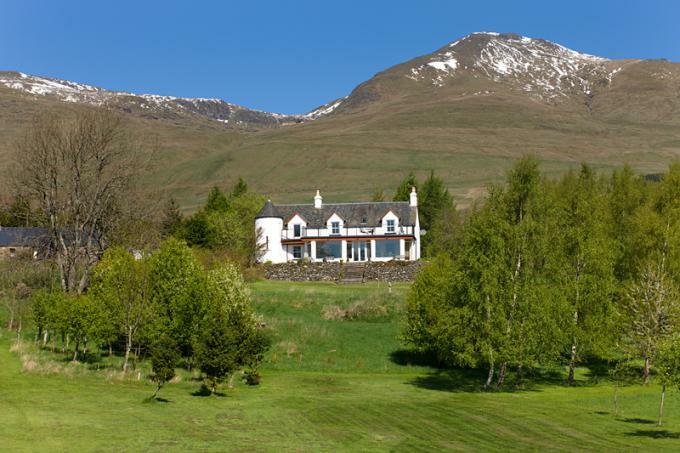 This beautifully refurbished property is a spacious holiday house with sensational views over Loch Tay and the surrounding meadows and woodlands. The property has been newly furnished and decorated and the living areas are light, spacious and comfortable. 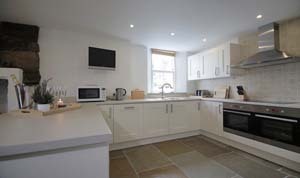 The farmhouse kitchen has a log burning stove and large range cooker and is equipped with all the mod cons for a luxury break. 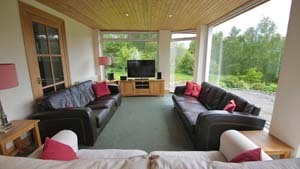 The living room is glass fronted to take advantage of the stunning views over the loch. The master bedroom upstairs is reached via a spiral staircase and has private access onto the spacious outside terracing to drink in the wildlife and the spectacular views over Loch Tay. 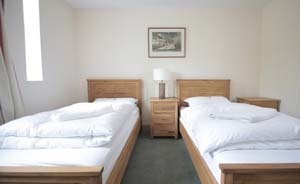 The five other bedrooms are all spaciously proportioned with a mixture of king and twin beds, not forgetting cots for the little ones if these are required. Feel right at home by sinking into the soft sofas and cosy leather armchairs after a day on the hills, and drink in the unbelievable views over the surrounding scenery. Fall into the high backed sled beds with their comfortable memory foam mattresses at the end of the day. There is a flat screen TV, DVD player and Hifi system with hifi and dataport. Outside there is plenty of private parking space and 40 acres of private estate to enjoy, including access to the loch, an orchard and a duck pond. Craggantoul estate is easily accessible and is located within two hours of Edinburgh, Glasgow and Inverness. From the south drive up the A9 from Perth, continuing northwards on the A9 towards Ballinluig. Turn onto the A827 to Aberfeldy and continue into Kenmore. Drive through Kenmore and onto the north Loch Tay road. Craggantoul is located approximately 10 miles along this road. From the west, follow the A85 to Killin and then follow the A827 north loch road. Craggantoul is located approximately 7 miles along this road. From the north drive down the A9 to Ballinluig. Turn onto the A827 to Aberfeldy and continue into Kenmore. Drive through Kenmore and onto the north Loch Tay road. Craggantoul is located approximately 10 miles along this road. Heating and firewood for the stove are included in the price. Egyptian cotton bed linen, fluffy bath sheets, hand towels, bath mats, luxury hand soap, spice cupboard, initial supplies of loo roll, bin bags, dish washer tablets and washing up liquid are all provided. Solar panels to contribute to the well being of the environment. 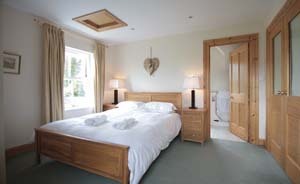 If guests wish to bring their own linen and towels then there is a reduction in the cost. Craggantoul House is rented throughout the year. During the peak seasons, the property is rented out on a weekly basis and the change over day is Saturday. Check in time is 4pm and departure time is 10am. 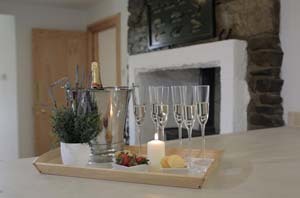 It is also available for short breaks for a minimum of 2 nights, out of peak season. 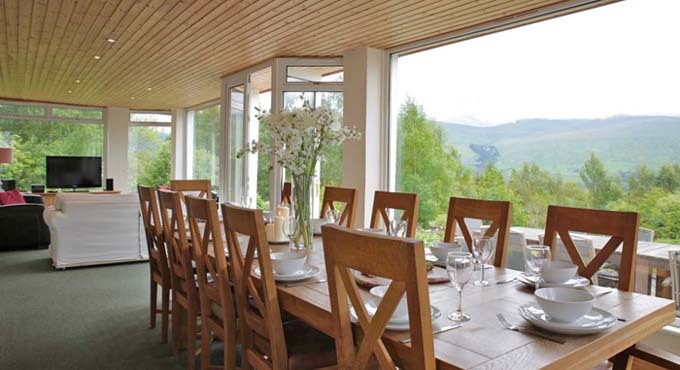 To book this luxury large self catering house with commanding views of Loch Tay, click the enquiry button below and see availability and prices. 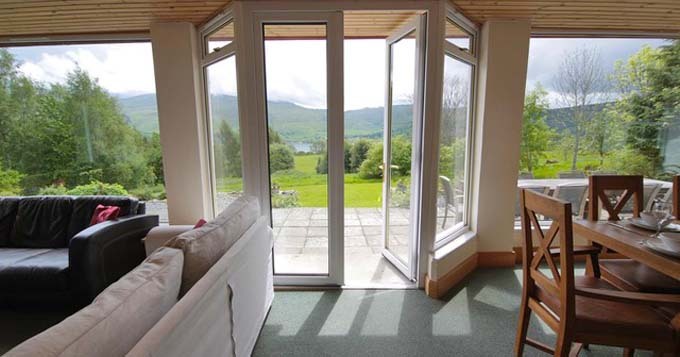 This is a luxury holiday house in an amazing setting with stunning views over Loch Tay. It's perfect group accommodation for a large group of friends or family wanting to get together for a special birthday or anniversary or just to have a holiday together in a very special house.